In June 2018, the Rotary Club of Hampton saw the realization of a vision, when a container packed with medical supplies and equipment was finally unloaded in Cambodia for the Nokor Tep Hospital. In Cambodia, with less than 15% of women having access to health care, there is a desperate need for better health care facilities & services. The Nokor Tep Foundation Cambodia was established to create a health care program, facilities & services for women across Cambodia. The starting point of the Foundation's plans was to construct the Nokor Tep Women's Hospital, a project costing over USD$30M. The Hospital, due to open in 2019, will be the first facility dedicated to providing Cambodian women with gynaecological and oncological care. It aims to provide health services to more than 100,000 women per year and in addition, to provide education, preventative and mobile healthcare services to reach women across all parts of Cambodia. 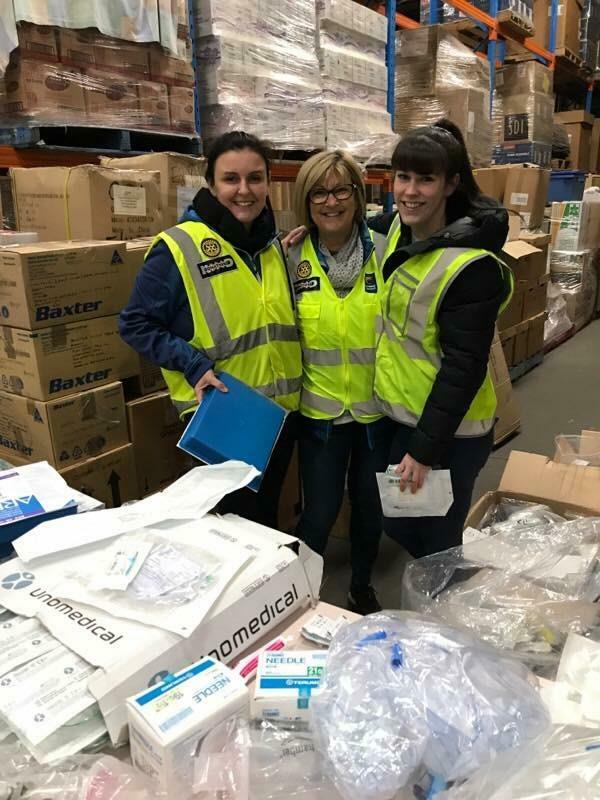 The Rotary Club of Hampton had supported a project throughout 2017 which involved volunteers from the Nokor Tep Foundation Australia, Hampton Rotary and other Rotary Clubs working at the Rotary “Donations In Kind” warehouse at Footscray in Melbourne, to sort and pack medical supplies, uniforms and linen. Based on the requirements for the hospital as determined and advised by the Nokor Tep Foundation Cambodia, some of these supplies were earmarked for inclusion in a 40’ container to be shipped to the hospital. Then, after many months of hard work by numerous volunteers, and with the incredible support and assistance from everyone at Rotary Donations-In-Kind, the container was finally packed and left the DIK warehouse in April 2018 and finally was unpacked at the hospital in Cambodia in June 2018. What an amazing achievement and example of a collaborative partnership at work! The Hospital is nearing completion and an opening ceremony will be held in March 2019. This is a very exciting milestone in the development of this pioneering project that will revolutionize the medical care of women in Cambodia. Another container of medical supplies will be sorted and packed throughout 2019. Full details on the Nokor Tep Foundation and the Hospital can be viewed at: www.nokortepaustralia.org.au.